Ukraine is not going to buy natural gas from Russia at a price set by Gazprom for the third quarter of 2015, i.e. $247.18 per 1,000 cubic meters, Ukrainian Energy and Coal Industry Minister Volodymyr Demchyshyn told journalists on Tuesday. "We will be buying gas. But not the Russian one. We will be buying gas from other sources until we reach agreement on the prices," Demchyshyn said. 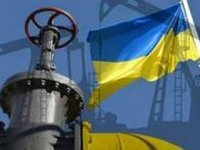 Ukraine could not accept the price set for the third quarter, as Kyiv expected that the price would be determined based on the 'winter package' terms and conditions, with at least a 30% discount, which means that the final price would be about $200 per 1,000 cubic meters, Demchyshyn said. Russian Energy Minister Alexander Novak said there was no need to grant Naftogaz a discount of more than $40, as the price would be lower than the market-based one. He added that the European Commission did not air its opinion at the gas talks in Vienna on Tuesday as to how reasonable this discount was, as this is solely for Russia to decide on. "We might not have granted a discount as well, but we believe this is fair in terms of competitiveness, and second, this is Russia's contribution to partially providing aid to Ukraine," Novak said.